Addiction is incredibly disruptive to healthy sleep patterns. The two are closely connected as some people use substances to help them fall asleep while others may find they are unable to sleep due to the side effects of substance abuse. It is estimated that those who struggle with an addiction are 5 to 10 times more likely to struggle with a sleep disorder as compared to others. Sleep-related issues can take a long time to resolve. Even when recovering from addiction, sleep-related side effects are prevalent and can be one of the longest-lasting symptoms of detox. Quality sleep is critical to recovery as it helps a person heal physically, mentally, and emotionally. Sleep has a profound impact on how our minds and bodies work. This is especially true in recovery. As a person adjusts to life without the influence of substances, there are side effects that can negatively impact a person’s recovery. Sleep is often impacted both during active addiction and following it throughout treatment. While it can be difficult to get back into a normal sleep routine, doing so provides a person with mental and physical benefits that improve the recovery experience. Lowering levels of stress: Stress plays a significant role in the development of substance abuse. Instead of using drugs or alcohol to escape stressors, getting a quality night of sleep can make a big difference. Having a good night of sleep lowers blood pressure and helps people feel calmer. Sleep eases depression: Co-occurring mental health disorders are common in addiction recovery. Drugs and alcohol are often used as means of self-medicating and coping with symptoms. In recovery, ensuring a person regularly gets at least 8 hours of sleep can help alleviate symptoms of anxiety and depression. This can help a person feel more emotionally stable and able to work through their recovery more effectively. Sleep improves responsiveness: Lack of sleep can affect a person’s decision-making skills and their ability to respond to situations. This can be a fatal consequence of not sleeping, especially if a person is behind the wheel of a vehicle. Improved quality of sleep can positively impact a person’s sense of judgement and reactiveness, which can greatly improve the recovery experience. Strengthen your immune system: Lack of sleep can impact how your immune system functions. 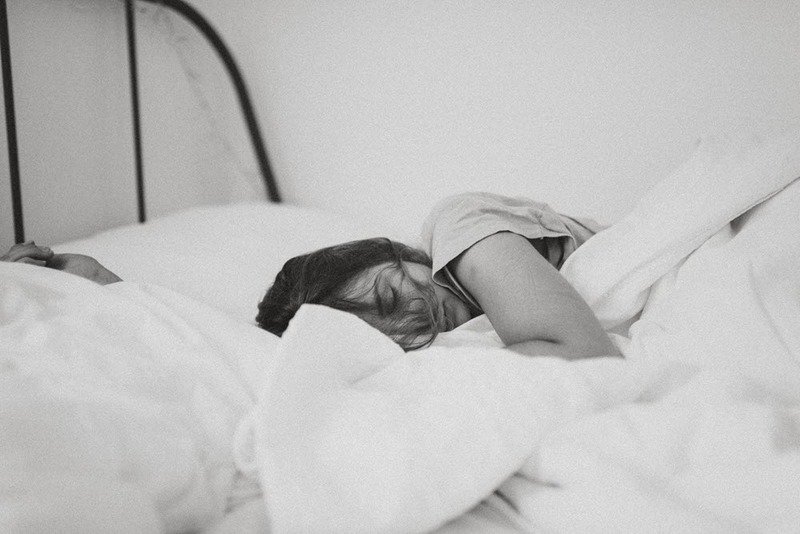 Not getting enough sleep can make you more prone to getting sick and some studies suggest, may increase your risk of developing a life-threatening disease. Getting enough sleep can make you healthier and more resilient to illness. Manage your weight: Sleep deprivation can negatively impact your metabolism and your body’s ability to process food. Lack of sleep is linked to an increased risk for obesity and diabetes. Weight issues can also contribute to the development of sleep disorders which can worsen a person’s condition. Decreases pain: Research suggests there may be a link between common, unexplained pains and lack of sleep. If you find your joints ache for an unknown reason, the amount of sleep you have been getting could be the culprit. Getting a good night of sleep can reduce the amount of pain you feel. Follow a sleep schedule by getting up at the same time every morning (even on weekends). Start relaxing at least 30 minutes before bed using activities such as reading, taking a warm bath, meditating, or listening to calm music. Do not go to bed hungry or too full and watch what you eat or drink before bed. Caffeine and nicotine can make it difficult to fall asleep. Regular exercise can help you sleep more soundly. Avoid rigorous exercise before bed as it can make you too energized. Yoga, however, can help you have a more restful night. Eliminate distractions while going to sleep. Excess light and sound can make it difficult to fall asleep. Creating a dark, quiet place for rest can help you stay asleep through the night.